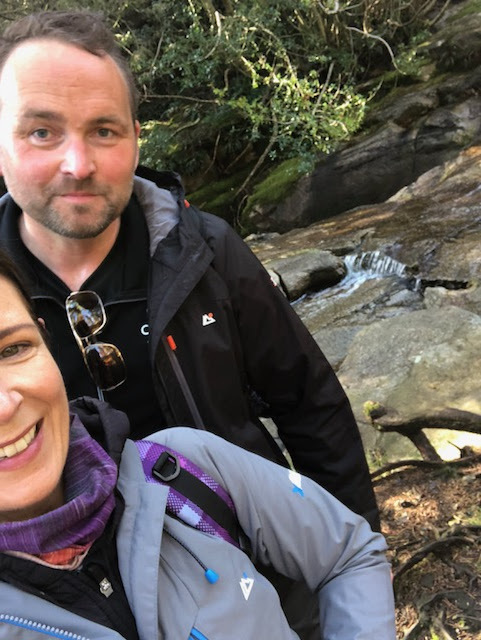 Last week I climbed Slieve Donard with my blog husband (not my real husband! ), Jeff from Belfast Times. 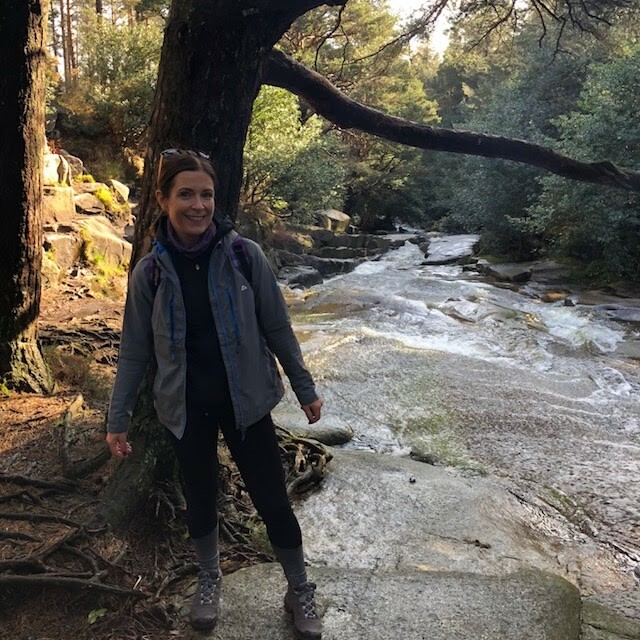 It was momentous because one year ago I was in my bed, high on drugs and in a scary amount of pain so much so that even contemplating the climb, I was worried that I'd not be able for it. I'd been training well up until Easter but then was struck down with a chest virus which left me unable to work out for 3 weeks. But encouraged by Jeff, I decided to give it a go on the date we'd agreed. And we'd agreed that date because when the NI Cancer Fund for Children heard we were thinking of climbing the highest peak in NI, they asked if we could give their sponsored climb on the 27th May a mention to encourage others to sign up. 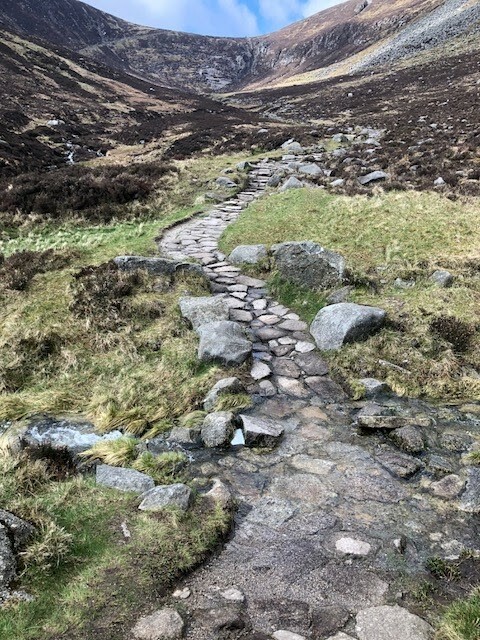 We knew we had to climb the mountain in early May to allow us to help with this....but that turned out to be a good thing - it stopped us rearranging or backing out! 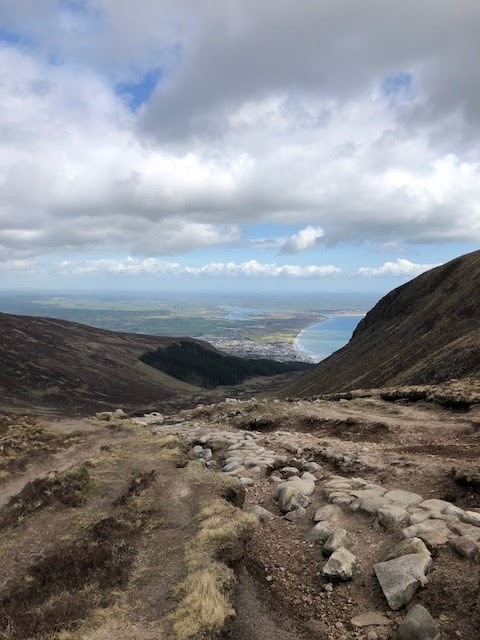 It was a bright day but cool and showery and we headed off at about 8.30am from Donard car park in the town. There's lots of parking at the base of the mountain along with public toilets so you can get organised before commencing the climb. From the car park, you have a lovely dander through the trees and alongside the river which warms you up well for the tougher climb ahead. Within about an hour, we reached the tree line and the wind really picked up from here onwards. From the saddle to the top comprised 20 minutes of pure hell. There's no other way to describe it. It was relentless and rough underfoot so you had to really concentrate. We ended up doing wee spurts of climbing followed by quick stops to catch our breath. There were more than a few times when Jeff had to push me on but we made it to the top and it was definitely worth it. Not only did we have the most amazing views but we had the entire summit to ourselves. Just magical. We spent about half an hour on top taking photos and congratulating ourselves....not thinking of the descent that was still ahead of us!! 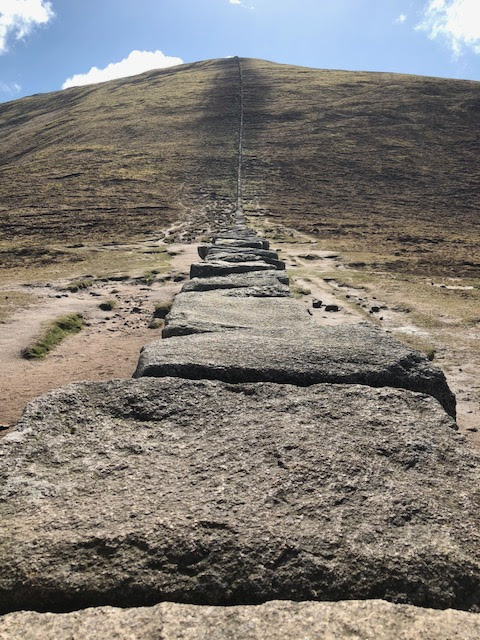 The climb down was much harder than expected. The terrain was slippy and we had a few showers on the way which made it harder to keep our footing. 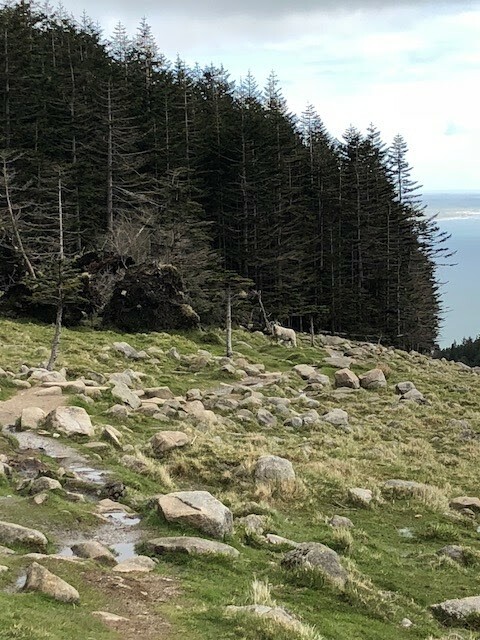 But we had some friends along the way - a cautious horned mummy sheep who was giving us lots of warning not to come near her and her lamb.....we took an extra detour around her!! Both of us took a tumble on the way down - Jeff's was worse than mine and he hit his head but he was ok thankfully and after about 5 hours, we were back on flat ground in the car park - a pretty decent time considering how long we spent on the top. 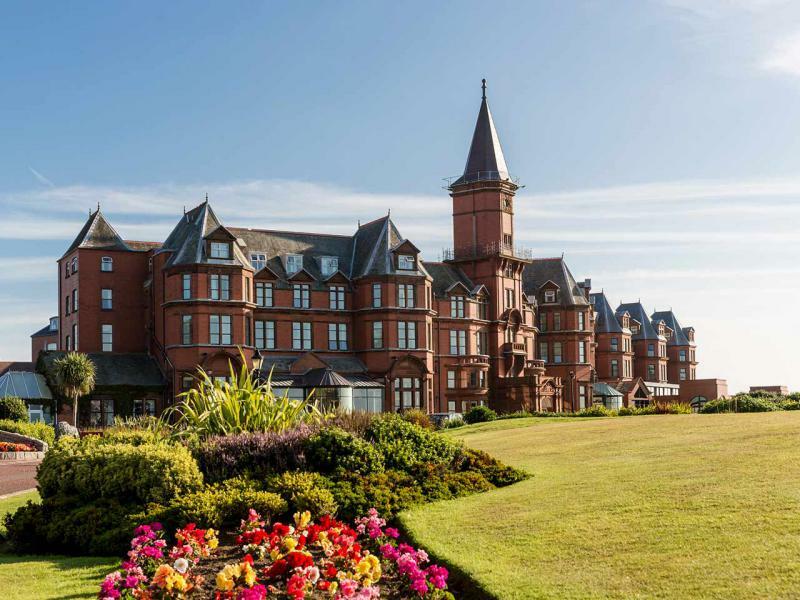 The descent was possibly rushed because we knew as soon as we got there, we would be heading to use the spa in the Slieve Donard Hotel as guests of the Hastings Hotel Group - to ease our weary muscles. followed by the most blissful time spent upstairs in the more private spa area, reserved for customers having treatments. 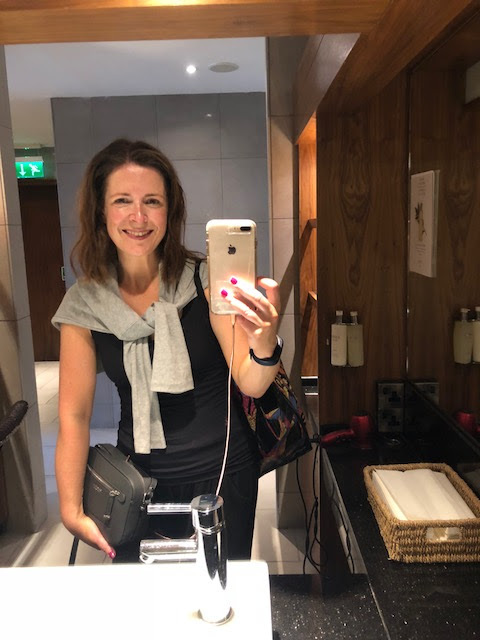 I found the sauna particularly soothing on my sore legs and it was just so nice to not have to rush home again to the school run etc. I don't normally go for spa days like this as I never seem to be able to fully relax. It's probably a bit of mum guilt at the fact that I'm swanning about doing nothing for a few hours. Maybe this visit I was so exhausted after the walk that I didn't have the energy to be guilty? 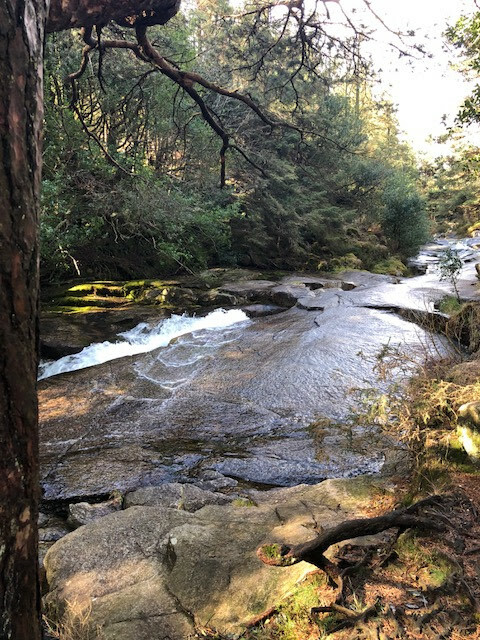 Whatever it was, I truly felt myself unwind and it reminded me of the importance of a little bit of me-time. I came home like a new woman! 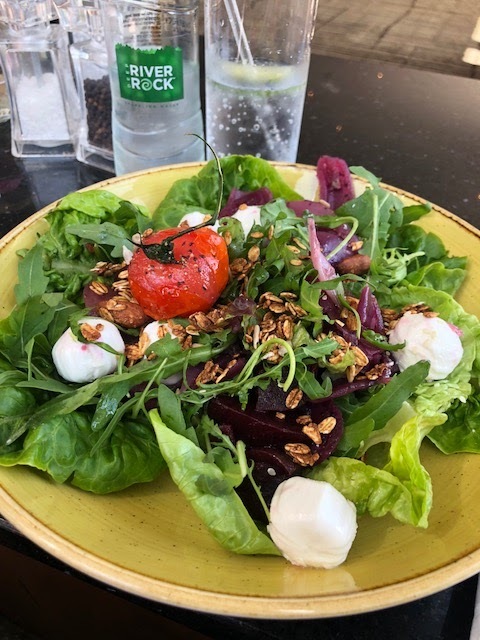 There's actually an offer on at the moment where you can go for the afternoon to the spa, with lunch for just £45 on a weekday. 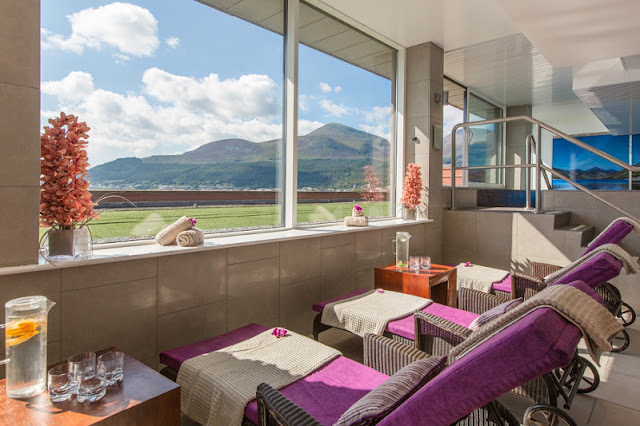 All the spa offers are on this link - I'm dropping major hints for my birthday! 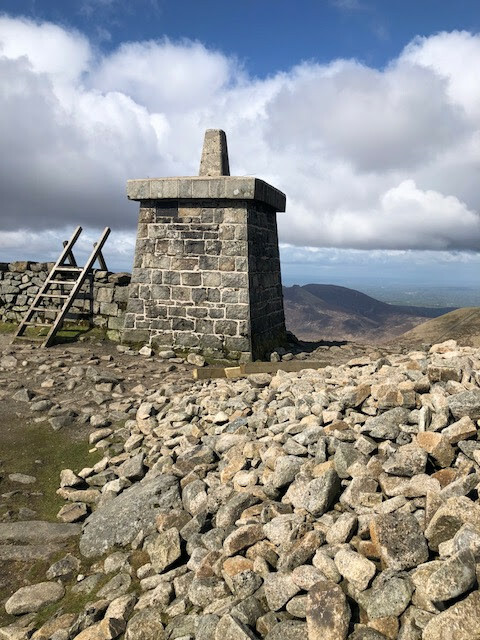 If you would like to conquer Slieve Donard this month, you can sign up to the NI Cancer Fund for Children climb on the 27th May on this link. 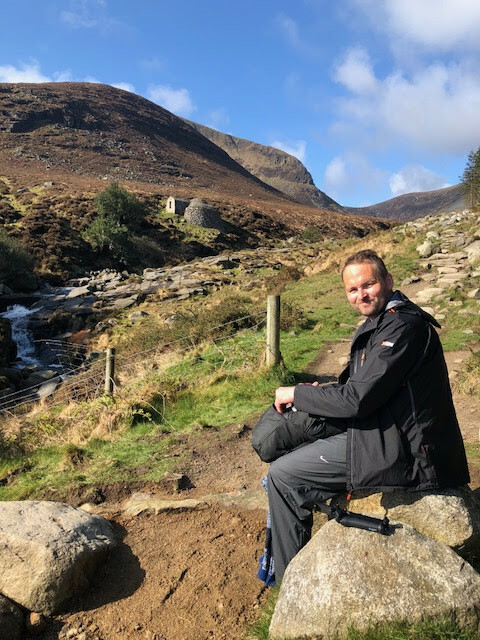 There's a registration fee of £20 and the charity ask that you try to raise £80 before the climb which I can help with as I'm going to donate to the first 3 people who sign up and contact me. Just drop me an email on avril@alifetostyle.com and on completion of the walk, I'll donate £30 to your collection! Disclaimer - I was not paid to write this blog post. 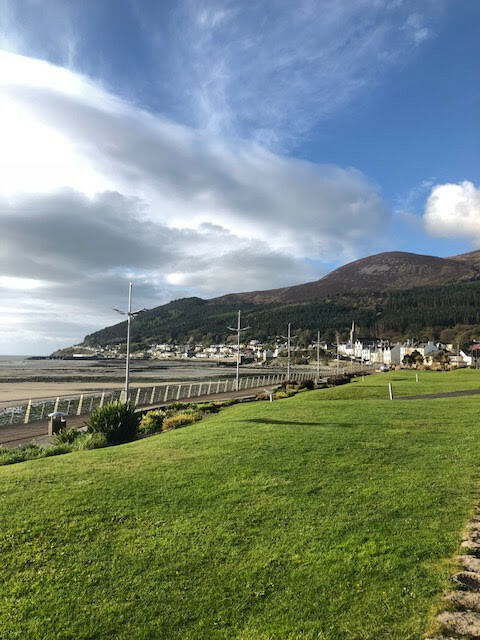 My trip to the Hastings Hotel Spa at the Slieve Donard was complimentary though I wasn't obliged to blog about it.